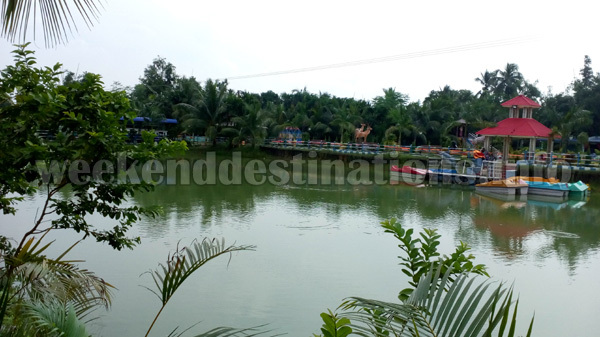 Places to see in Joypool: Apart from the village life, the major attraction near Joypool Village is the Nature Park. The Park has boating facilities and numerous rides for children. The landscaped gardens, manicured lawns and mini zoos with their resident rabbits, birds and guinea pigs are an endless source of awe to the children. Nearby attractions of Joypool: The Chakla Dham, which is considered the birthplace of the 18th Century Yogi and Spiritual Guru Baba Lokenath is 15 kms. from Joypul. The present temple complex is spread over 02 acres of land and hosts a Meditation hall, a Bhog Prasad Hall, few gardens and lawns and a car parking area. Numerous, Sales Counters retailing CDs, Books and posters associated with the life and times of Baba Lokenath surround the temple complex. Things to do in Joypool: The farmhouse complex has huge open lawns and gardens where children can play to their heart’s content. 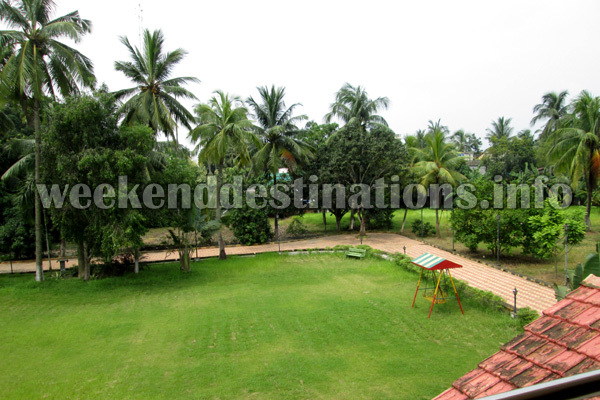 Gardens with flower beds and trees like Mango, Coconut and Tamarind inhabit the farmhouse garden. Ideal for a daytrip or picnic near Kolkata, this farmhouse is home to numerous birds and butterflies. How to reach Joypool: If you are longing for a driving destination for a day trip, then take NH112 and cross Barasat to reach Joypul. The village is 36 kms. from Kolkata and around 13 kms from Barasat. Regular trains are available from Sealdah to Barasat. Best time to visit Joypool: You can visit Joypool anytime of the year. Lodging and dining facilities in Joypool: Our farmhouse at Joypool is presently accommodating guests interested in picnic and day trip only. 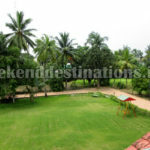 The farmhouse is spread over 04 Bighas of land with landscaped gardens and lawns dotted with park benches and pathways. 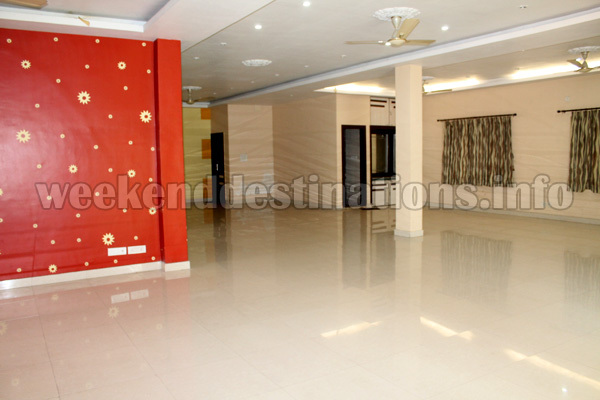 Two Air Conditioned Double Bed rooms are allotted to guests for picnic along with a large indoor hall which can seat 100 or more guests for dining and conferences. 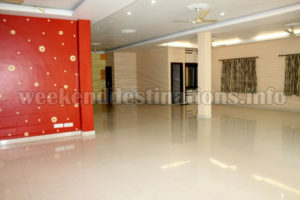 Guests can also try their luck in indoor games like Table tennis in the farmhouse.